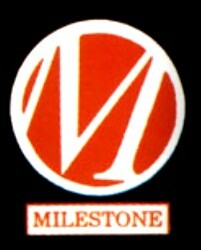 Coming in from across the airwaves this morning is news that Milestone Media llc. is set for a comeback/revival similar to Valiant’s simply stunning takeover of comics a few years back. Denys Cowan, Derek Dingle and former Black Panther writer and Django Unchained producer Reginald Hudlin are gearing up for what they call “Milestone 2.0”. They spoke to the Washington post about this development, and a few things were expected like they announced the return of old favorites of which Icon and Blood syndicate had better be a part of and then lambasting the creation or passing of the mantle from a white character to a black one like John Stewart/Green Lantern was to Hal Jordan, New Captain AMerica/Samuel Jones to Steve Rogers or DC Comics New Power girl. So gentlemen and ladies of the Indy variety this “could” be your chance to be part of Milestone 2.0. Meet the independents has quite a few talented people who could easily fall into that category but how open will the new heads be to new talent? Could Midnight Tiger from Ray Anthony height be fighting alongside Icon? Would talent like David Gorden, N. Steven Harris, Robert Garrett etc be accepted? Only time will tell! I want to get excited but the DC Comics connection just lingers like a shackle on a slave’s ankle. They don’t have a concrete date for when they will start publishing once more, there is not even a single new piece of concept art, no talk of revamping the old books with digital coloring and making them available digitally etc. I’m also not hearing about the original writers like the talented but woefully under-appreciated Ivan Velez Jr. I’m not completely sold. I can’t help thinking I would be more excited if there was no tie to DC Comics and the controversial Michael Davis was involved in some capacity, but that’s just me…..
I’m more excited about the live action Static series set to debut simply because it will reflect the original series and NOT the popular cartoon series! Yes, Yes, And YES. WooT! Let,s make this happen PLEASE!!!!! I would like nothing better than to whole heartedly get behind a project like this . Has to creators intent to recruit artists and writers who are “modern Media savvy ” and have grew up swimming in the on line realm and are able to use it’s tools and procedures to get the word out , I think that is all well and good and even a necessary thing . But in the bottom line ( for me ,at least ) is that they have to create and present characters I can come to care about and who having adventures that make me what to learn what happens next . As an ole school comicbook fan and black person, im glad to hear this. But i do hope the “blacksiphocation” isnt so hard pressed its to the exclusion of the larger mainstream demongraghic audience. I want to see our people on the animated page in the same day-to-day heroic aspects as marvel and dc’s white characters are , but if the comics dont include strong supporting cast that are non black , they simple in my opinion wont be successful. I agree, support from that larger mainstream demo. is gonna play a role in the success of this. None worth mentioning at this point…..